FOUNDATIONS Festival is returning to Manchester this December to celebrate the city’s grassroots alternative music and art scene. Focusing on recognising the talent beyond the big names of Manchester’s cultural exports, Foundations will be hosting live music, art installations, discussion panels and even an alternative Christmas celebration featuring cabaret, poetry and satanic Santas. 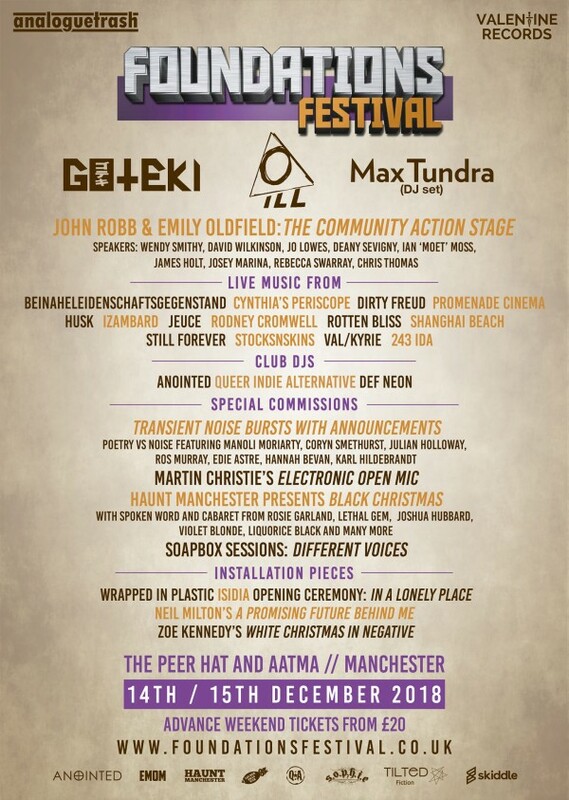 After a successful debut festival in 2016, the micro-festival will take place on Friday 14 and Saturday 15 December at Northern Quarter venues The Peer Hat and Aatma. Festival curator Emily Oldfield said: “This is a community-based festival, we want to make a difference and create a really immersive experience that gets you familiar with bands on the scene in Manchester right now. 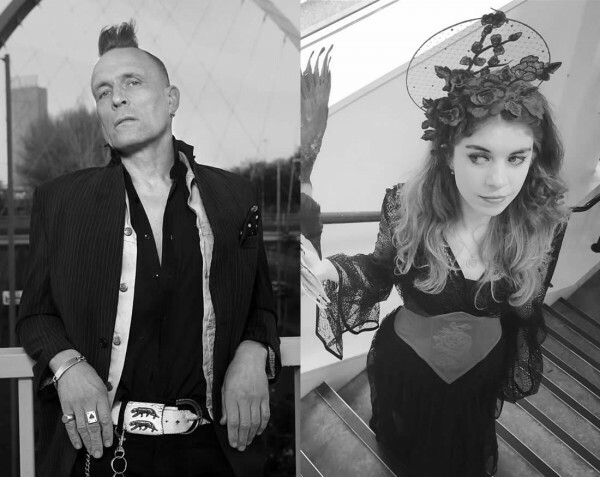 Saturday afternoon sees a panel discussion on the Community Action Stage, hosted by Emily and esteemed musician and music journalist John Robb, creator and editor-in-chief of music publication Louder Than War. The festival aims to create a more ‘immersive experience’ than conventional music festivals by hosting a variety of multimedia performances in intimate independent venues. Foundations also has a variety of volunteer roles available to those who wish to get involved. Opportunities include artist liaison, social media management, box office and merchandising to overseeing the events, installations and attractions throughout the weekend. Emily added: “It’s a really good opportunity for people who want to get into events management or people who are interested in music festivals and the music scene and want to get to know some grassroots artists and record labels." Tickets and information on how to volunteer can be found at foundationsfestival.co.uk.